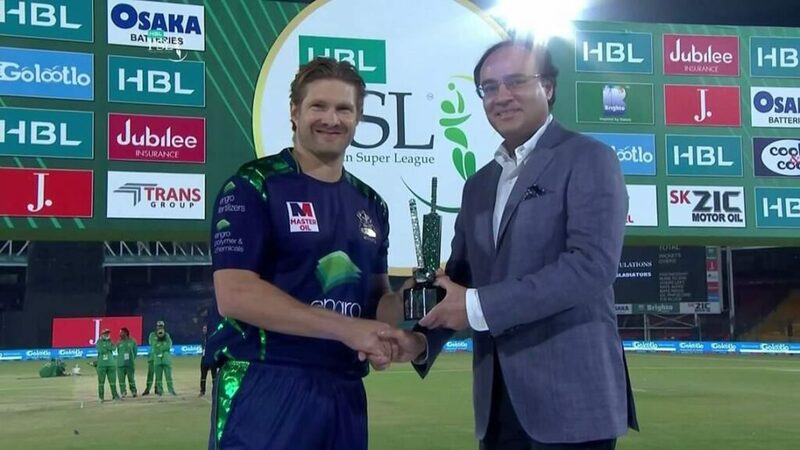 Shane Watson bags Best Batsman of the tournament with Man of the tournament award in PSL 2019. On the evening of PSL 2019 final at National Stadium Karachi, PCB awarded Watson with the best Batsman of the tournament trophy. Shane Watson played an important role in the victory of Quetta Gladiators by scoring 430 runs in 22 innings in PSL 2019. Watson remain constant with his bat while scoring most of the runs for Quetta Gladiators. He scored 81, 61,33, 91* 71 in the crucial matches to bag the best batsman of the tournament award. Moreover, Shane Watson was also awarded with the Man of the Tournament award in PSL 2019 for his magnificent performance with the bat. His best performance came in when he scored 71 runs against Peshawar Zalmi in the PSL 2019 qualifier match and then he bowled the last over against Zalmi to restrict them from winning the match.